Buipewura Abdulai Jinapor II, Paramount Chief of the Buipe Traditional Area, has warned that Gonja chiefs will boycott all meetings of the House of Chiefs if the regional capital of the proposed Savannah Region is not sited in Damongo. He said there would be no representation from the Gonja Traditional Area in meetings summoned by either the national or regional house of chiefs if their request is ignored. According to the Buipewura, the Yagbonwura and the entire Gonjaland Kingdom have unanimously settled on Damongo as the capital of the proposed Savannah Region. “Damongo as the capital of Savannah Region is non-negotiable, and attempts by any individual or group of individuals to change it will be fiercely resisted,” he stressed. He indicated that since Damongo is the traditional capital of the Gonja Kingdom, it certainly should be made the regional capital. “Damongo is where the Yagbonwura resides. That is where the palace of our overlord is and that is where we prefer the capital to be,” Buipewura added. The Buipewura praised President Akufo-Addo for taking steps to create the Savannah Region, adding that it is the greatest policy and gift for Gonjaland. He made this known when the Minister for Regional Reorganisation and Development, Dan Botwe, paid a courtesy call on the overlord of the Yagbonwura Overlord of Gonja Traditional Area at Damongo. Mr. Botwe revealed that his outfit had received the petition regarding the siting of the capital of the proposed Savannah Region. According to him, President Akufo-Addo would on 12th February, 2019, give effect to the results of the referendum for the establishment of the new regions at the Jubilee House. Currently three towns – Walewale, Nalerigu and Gambaga-are seriously contesting for the capital of the North-East Region. However, the Nayiri, who is the Paramount Chief of Mamprugu Traditional Area and President of the Northern Regional House of Chiefs, Naa Bohagu Mahami Shirega, is on record to have called on government to select Nalerigu as the regional capital. According to him, the request for the capital to be sited in Nalerigu started when he petitioned the presidency for a new region. “This is Mamprugu and every chief in Mamprugu has residence in Nalerigu and so there’s no suitable place than Nalerigu,” he added. 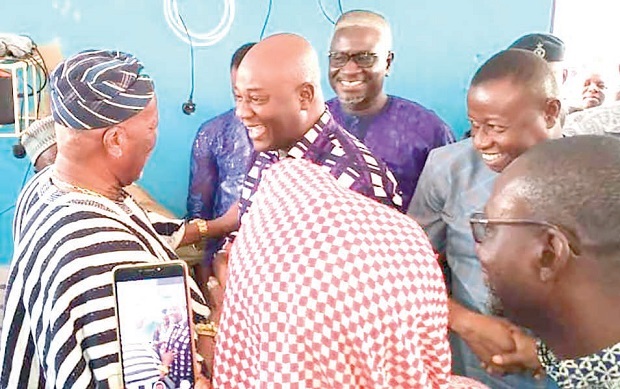 He indicated that siting the capital of the North-East Region in Nalerigu would bring development to the area and create jobs for the youth and good people of the area. The Nayiri called on investors to explore the potentials in the area to help develop the North-East Region and the country in general.